Ramen Orenchi or Orenchi Ramen from the exact Japanese phrase, meaning My Home Ramen, is one of very few restaurants specializing in ramen and Japanese comfort food in Mangga Besar area, West Jakarta. 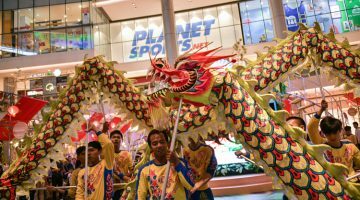 The always-busy street of Mangga Besar has been known for its large selection of Chinese food, so finding a ramen shop here can be a bit surprising. 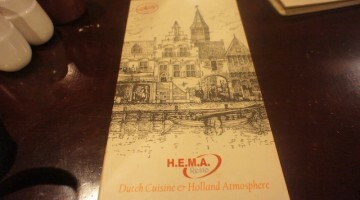 Before our visit this time, we noticed this place few months ago but didn’t stop by because honestly we were a bit skeptical at first. Our first thought upon seeing the big signage was that it must be another Japanese ramen restaurant “wannabe” whose authenticity needs to be questioned. 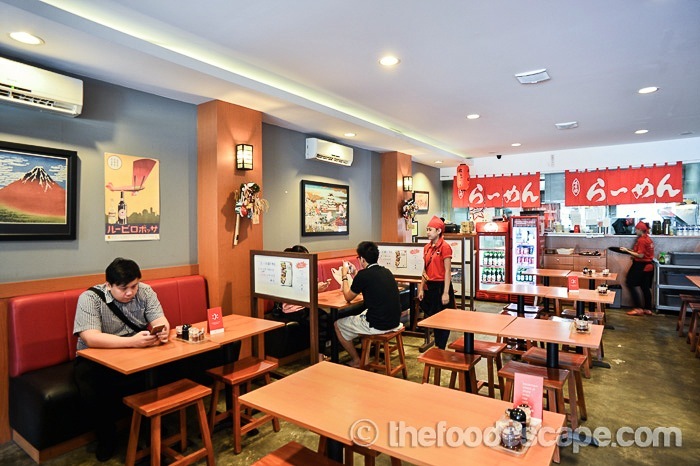 Apparently, Orenchi Ramen is owned by Indonesian and Japanese partners, while the kitchen is still handled by a Japanese. 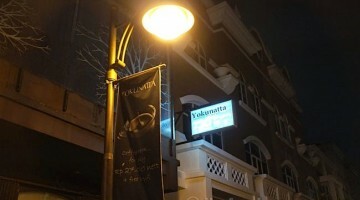 The restaurant itself has been operating for more than 1 year, and to our surprise, we saw lots of Japanese guests came dining in there. 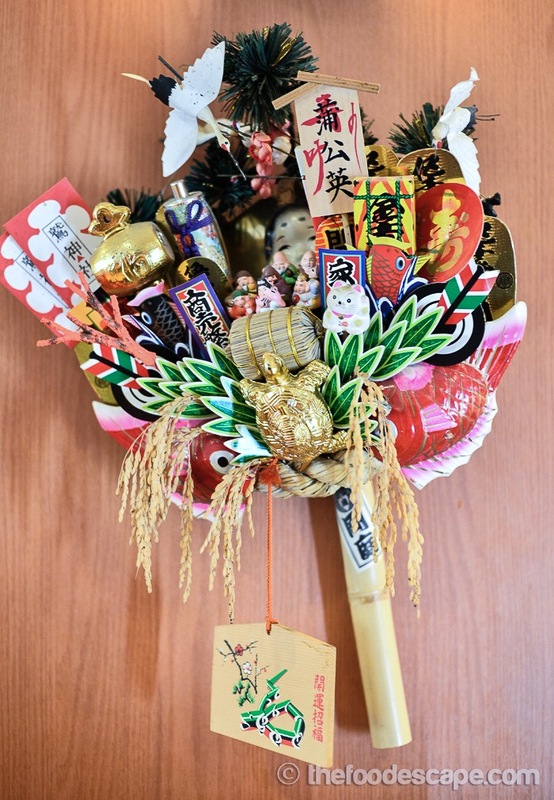 Never thought that there are many Japanese around the neighborhood! Orenchi Ramen only occupies one floor of an office house unit, the place is not too big and I imagine it can be very, very packed when it’s full house, but the humbleness of this place took my heart away almost immediately. 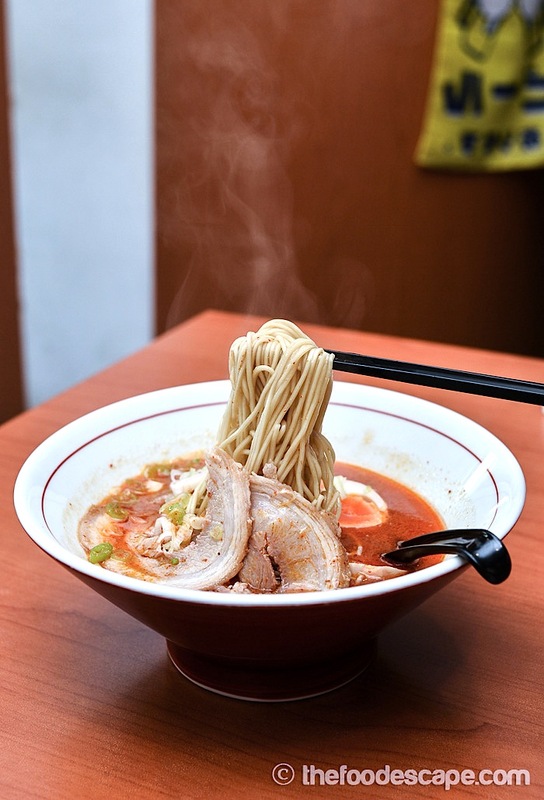 There is not much attributes but these few ones really resemble the simplicity of Japanese ramen shops in Japan. 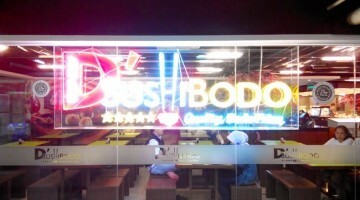 Near the entrance, there is a small area with glass partition where the noodle are made and prepared. 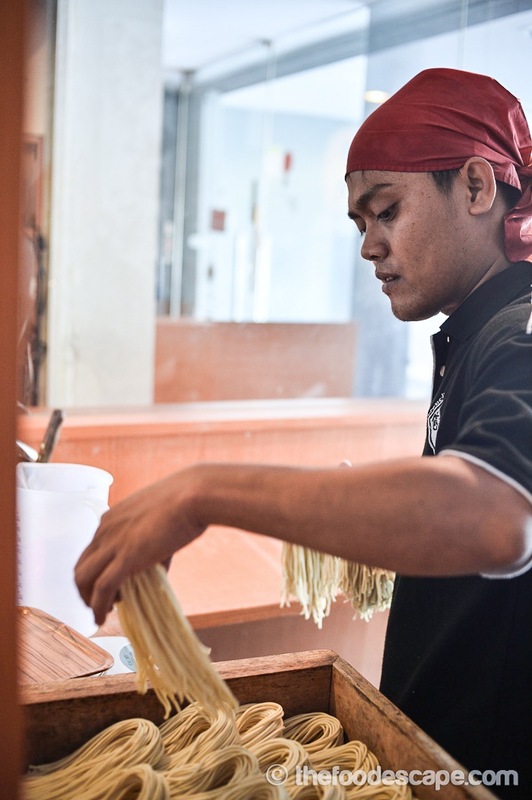 Of course we can take a look at the process and see how our noodles are prepared from the scratch. Aside from ramen shops which prepare their own broths everyday, I really appreciate the homemade noodle because it somehow brings the original feeling to the noodle itself. 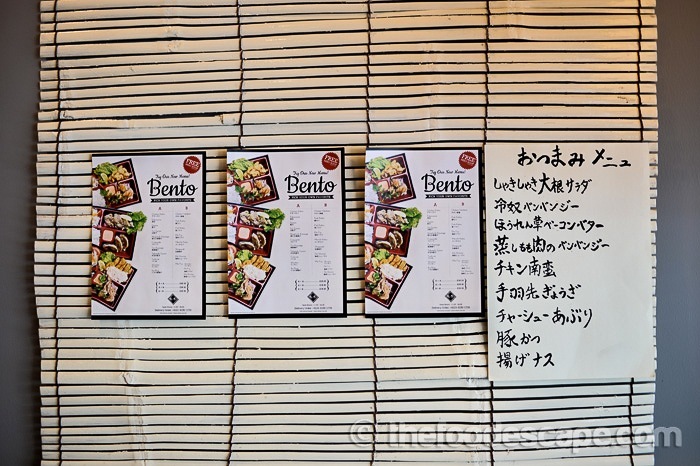 For the menu, Orenchi Ramen serves Tokyo-style Ramen, many kinds of Appetizers (4 pages alone for appetizers! 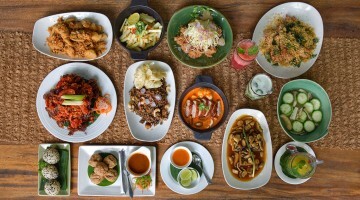 ), Salad, Curry Rice, Bento Menu, and also Desserts. 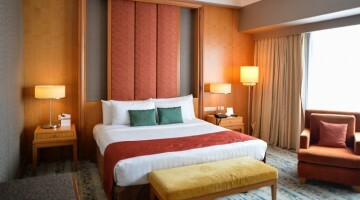 Prices for F&B range from IDR 8,000 to 68,000 only. 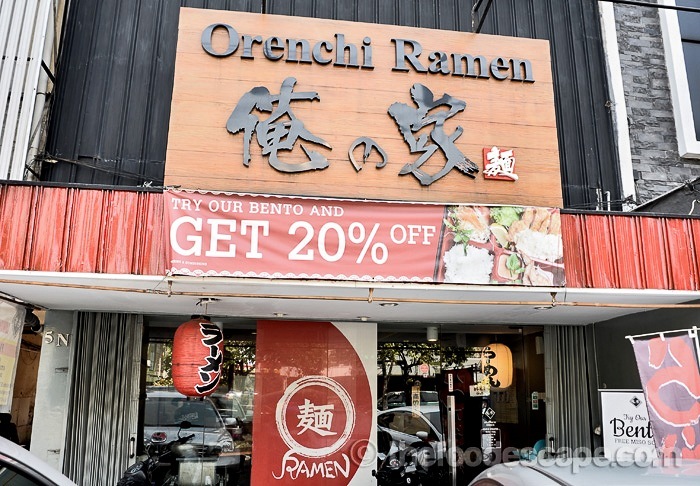 Without further ado, let’s see few dishes that Orenchi Ramen offers! 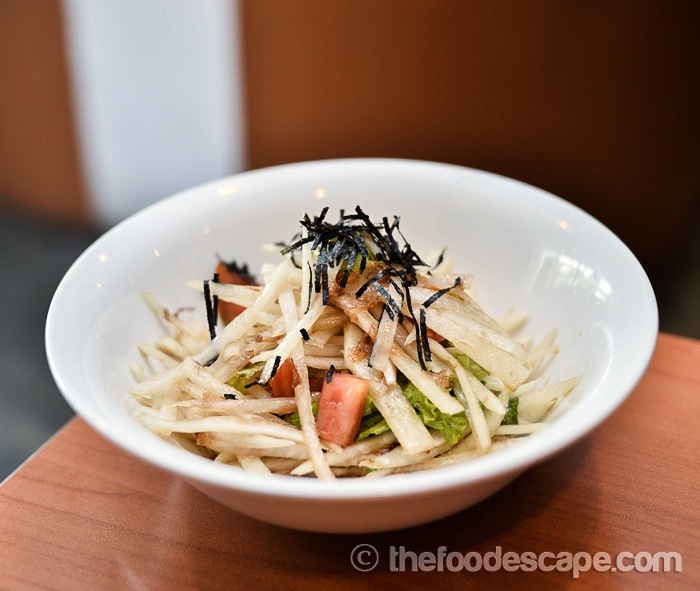 While they have many selections for the salad, we opted for Daikon Salad, which seems to be interesting and not found too often here in Jakarta. We heard that it’s the bestseller salad for Japanese patrons, so being a daikon lover myself, it was a done deal for me. 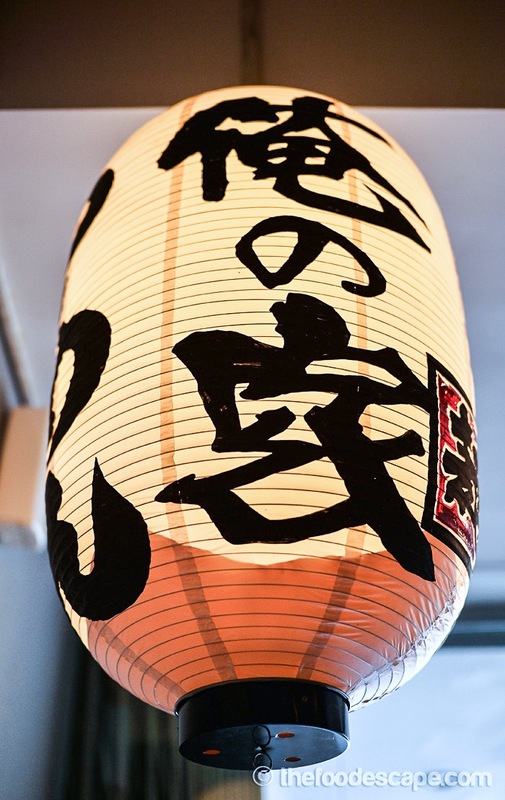 The daikon, or radish if you prefer, are sliced thinly and made a shaki-shaki sound when eaten, hence the name “Shaki Shaki Daikon Salad” in Japanese. The dressing was sweet and savory, very refreshing combination that stimulated our appetites nicely before moving on to the heavier dishes. 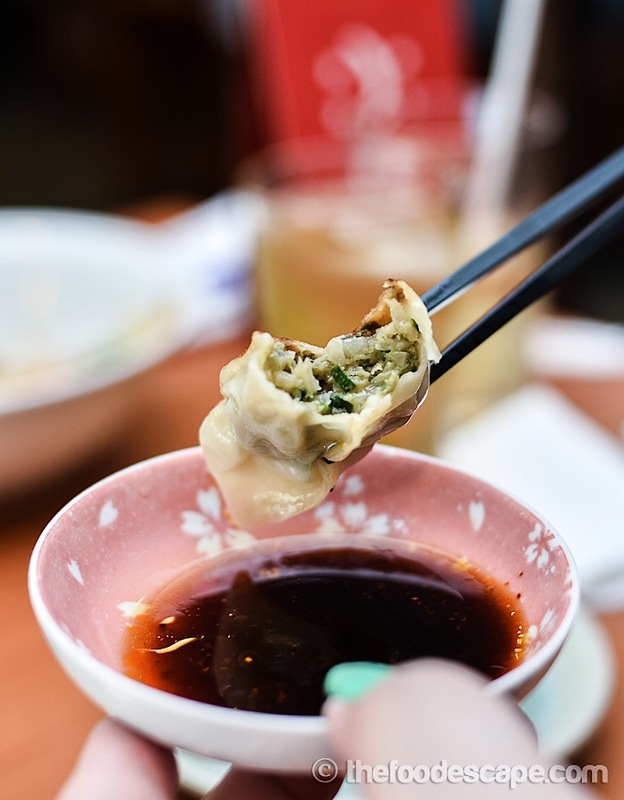 The gyozas were not only beautiful looking, but they are so good we couldn’t stop gushing while eating them! The amazing thing is that even the skin are homemade (!!) and the way they are cooked were so perfect resulting in crispy yet soft outer layer. The fillings were generous and enhanced with lots of nira (Chinese leek a.k.a. 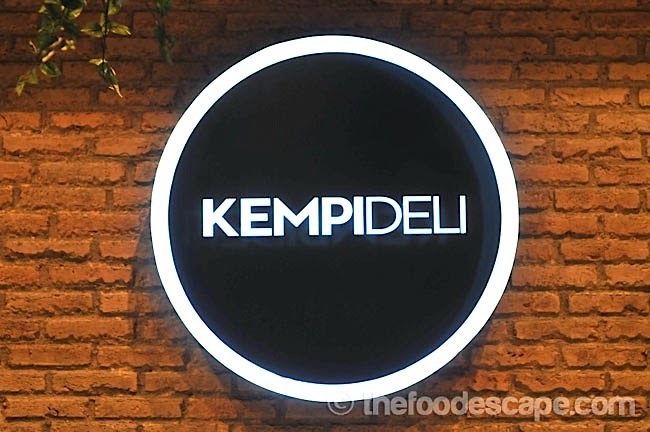 “kucai” in Bahasa Indonesia), but even people who dislike it can still enjoy this. 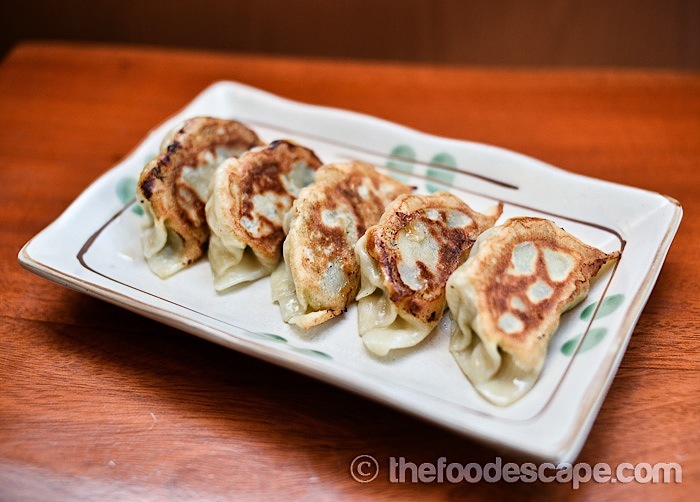 Oh yes, these yummy gyozas are available with pork or chicken filling. 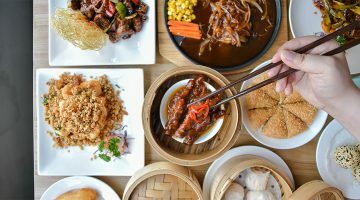 If you eat pork, this is definitely NOT to miss. 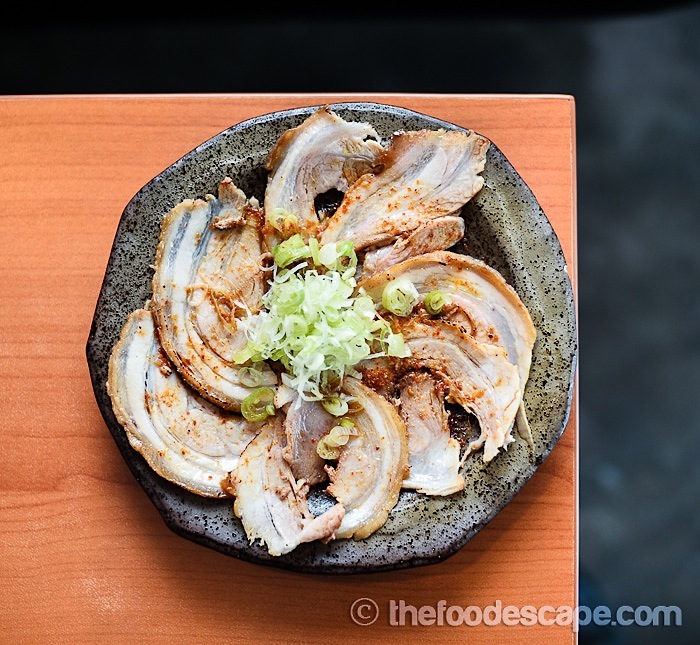 The chashu aburi was torched with special sauce that smelled and tasted so rich: combination of salty and sour that will blow your mind away from the first bite. 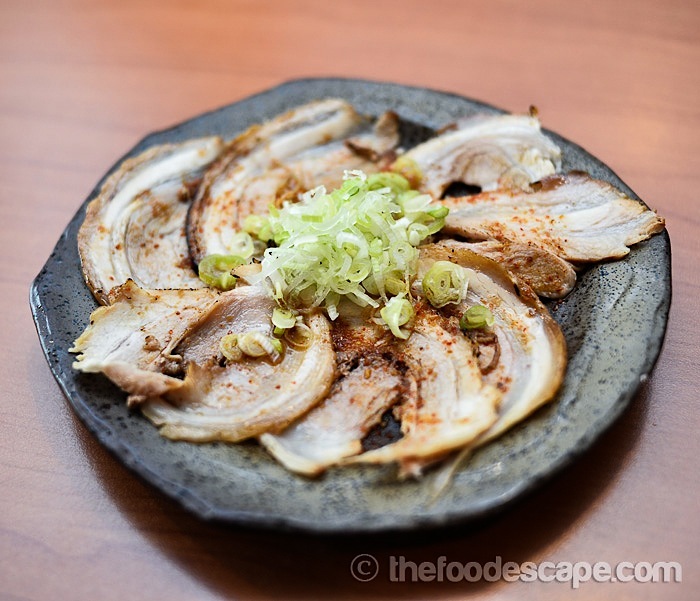 I noticed that the chashu slices were a bit thin (for my liking! XD) but after I ate one slice, I understood. As the chashu had really strong flavor, it is best served thin like this, and eaten with the generously-given spring onions in the center. Would suggest eating this with beer and you’ll find happiness on earth in a blink! LOL! 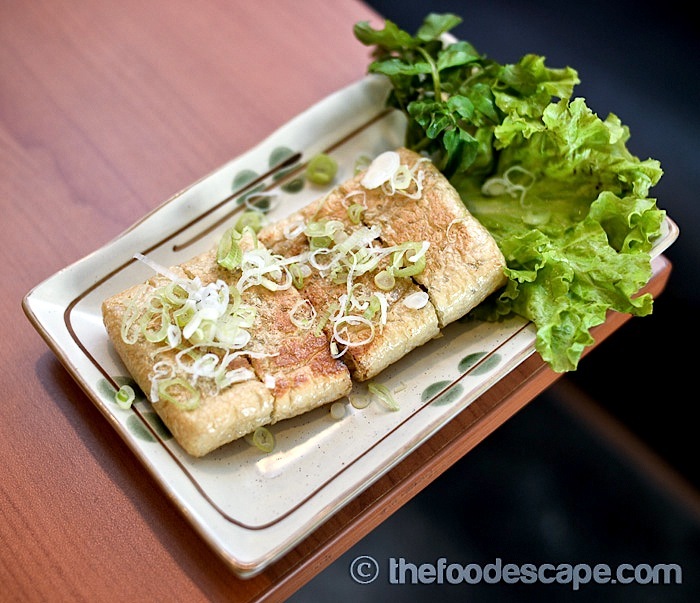 Crispy tofu skin filled with Japanese fermented soybean. 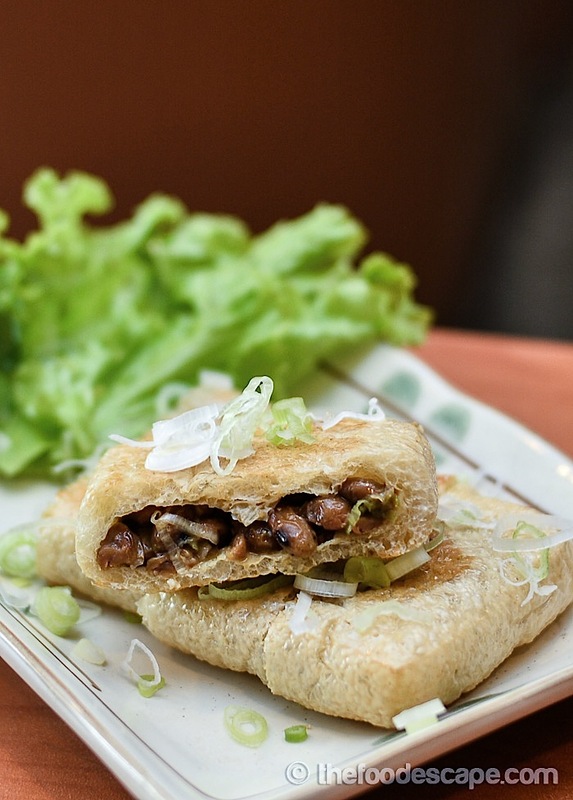 The nattou was put inside crispy tofu skin, which is like, too good to be true. I don’t even like nattou but I could actually enjoy this. The nattou tasted just like nattou (err..) with the stickiness and familiar smell, but the eating experience was different, thanks to the tofu skin! 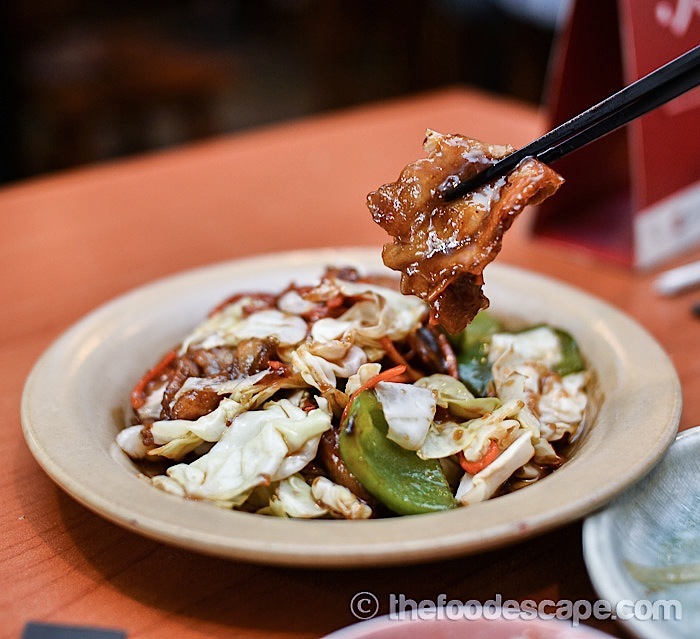 This stir-fry pork and vegetables is inspired by Chinese cuisine, basically a combination among pork, cabbage, bell peppers, and starchy sauce. 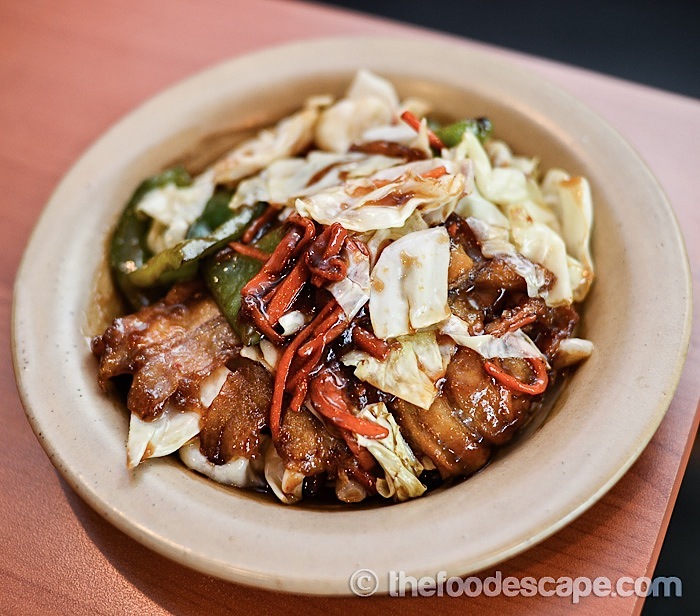 As much as I love the pork, I think the whole dish was dominated by sweet taste. For the ramen, Toro Toro Chashu Ramen is the best-seller for (again) Japanese patrons and seems to be one of their signature ramen dishes. 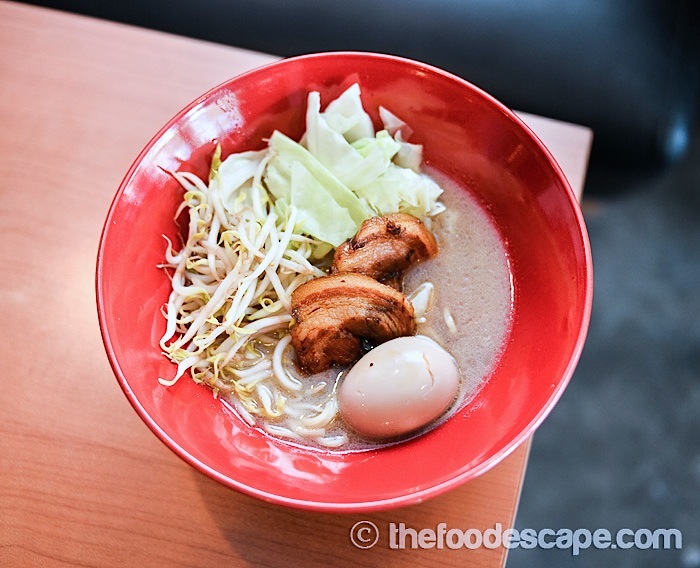 This thick tonkotsu broth noodle is served with sliced pork belly, and served limited daily. While we can choose the size of the noodle for other ramen dishes (thick or thin noodle), this only uses thick noodle automatically. We can also choose the level of saltiness: less salty, normal, and more salty. The portion was quite big, and the noodle was served with vegetables like bean sprouts and cabbage (if you want more of them, just ask and they’ll give you for free! ), an egg, and special chashu. The broth wasn’t too thick but very flavorful. The noodle was springy and chewy in a good way. 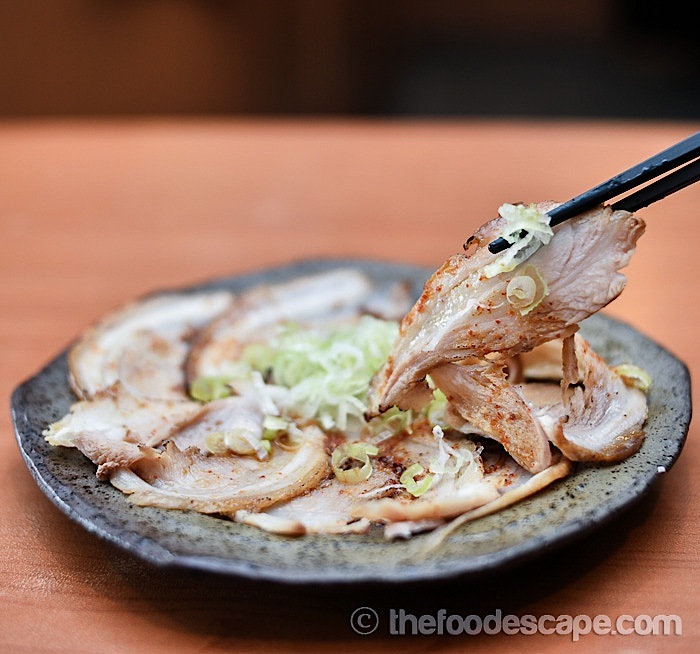 The special chashu looked just like the ones in Chinese pork stew dishes, so soft and fragrant. 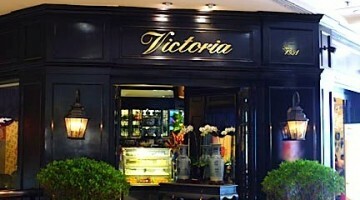 Normally we only get 2 slices but we can ask for more with additional IDR 18,000. 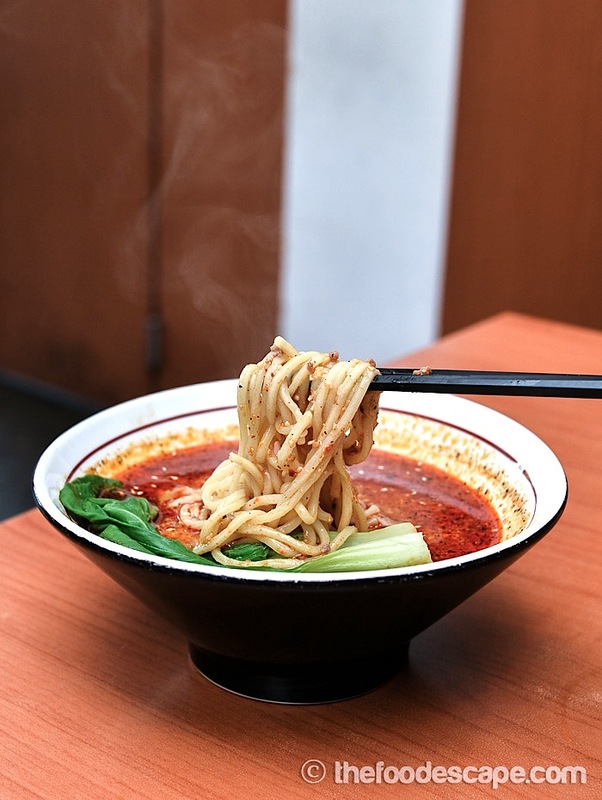 Thick or Thin noodle in spicy savory base soup. Can choose chicken or pork. We chose thin noodle for this, and I couldn’t be happier. Although I like the thick noodle, I love the thin noodle more as I could feel the texture more. The Orenchi Ramen has spicy based soup which was pleasantly medium in consistency: not too thick and not thin, either. This is the kind of soup that I can finish until the last drop. Thick spicy sesame base soup with ground pork. Can choose thick/thin noodle, only pork. Ordering a Tan Tan Men whenever it exists on the menu is kinda mandatory for me, so I also tried theirs. 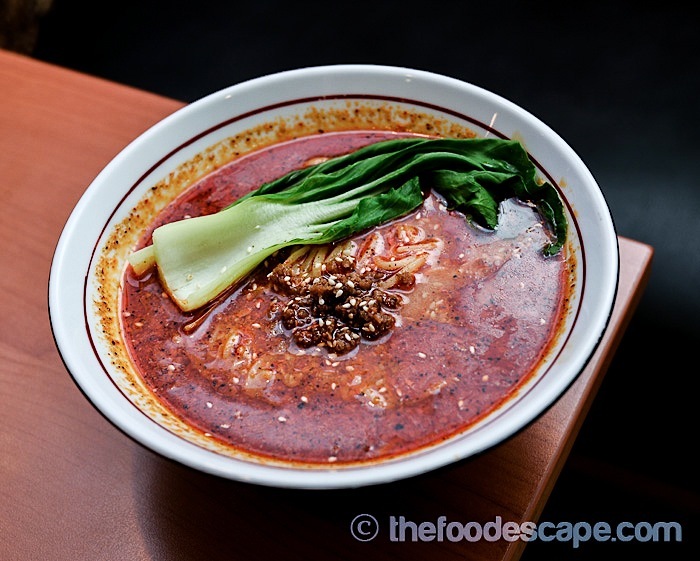 The Tan Tan Men has thick broth, spicy and fragrant because of sesame and chili oil involvement in the soup. 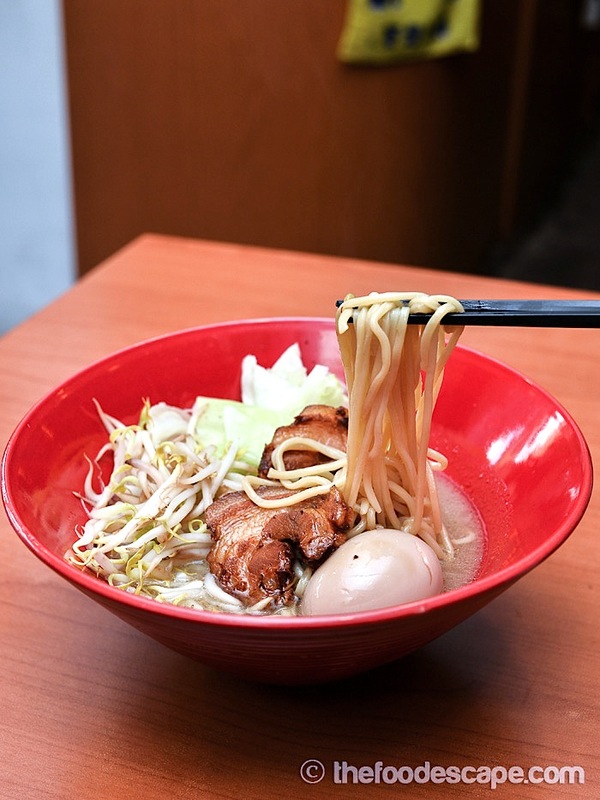 Here the broth was indeed thick and oily, and it was great timing that we chose thick noodle. When we ate the noodle, the sesame was also brought up with the noodle, creating totally different experience with the previous ramen dishes. 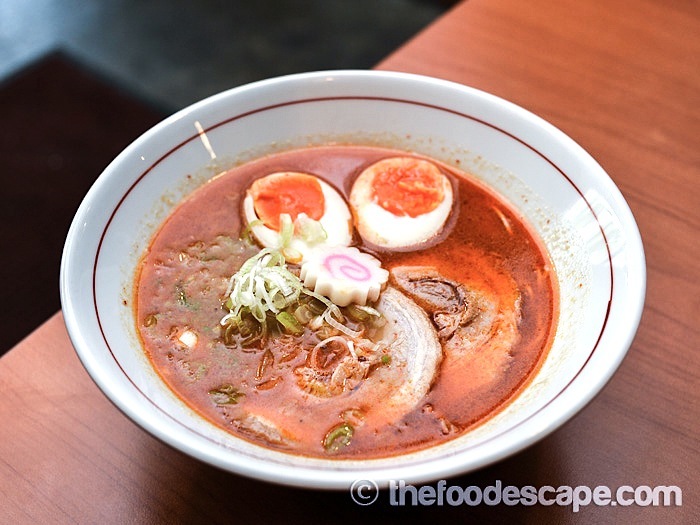 This was good if you like thicker base soup and bolder taste for your ramen. There were not many desserts available that time, so we settled with Mochi Ice Cream. 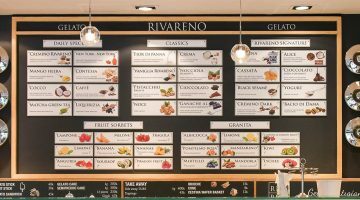 Again, these are a homemade products and there is variety of Ogura, Rum Raisin, Tiramisu, Strawberry, Mango, Chocolate, Taro, and Green Tea. 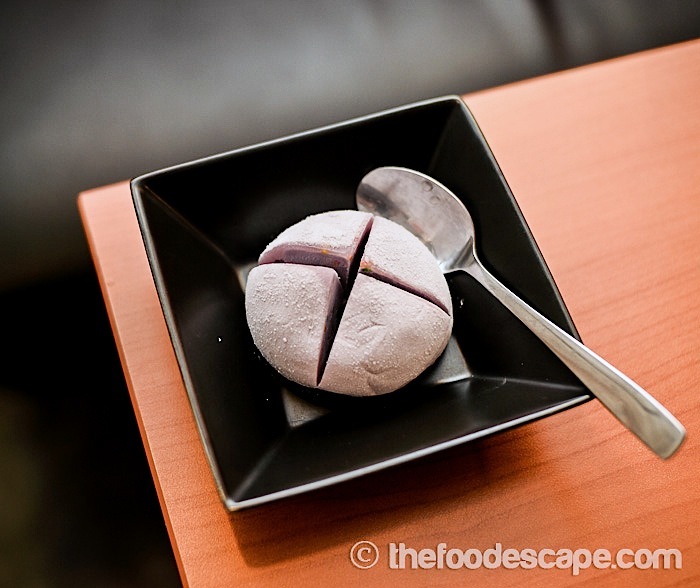 We tried the Mango & Taro ones, and were surprised when they were served. 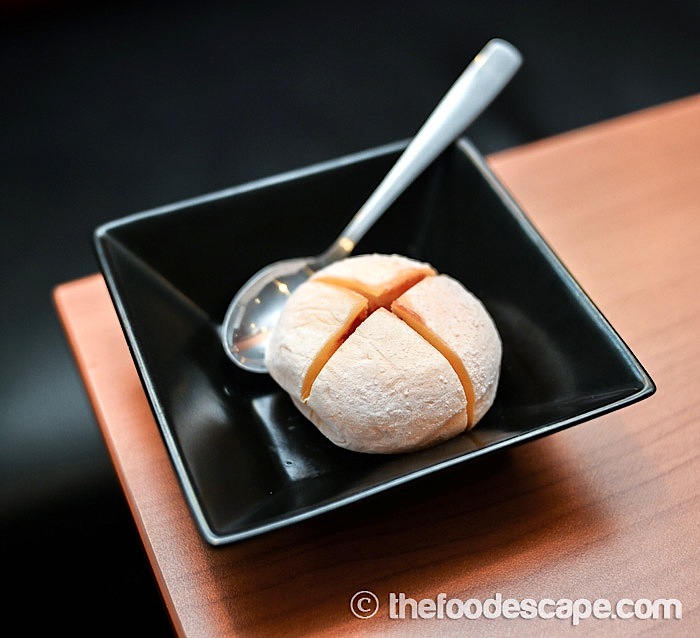 The size is bigger than the regular mochi ice creams we know, and looked very decent. Although the mochi were still a bit frozen when they were served, it was amazing that I could feel the sticky mochi skin. The ice cream fillings were the stars because they had distinctive taste, even taro one! 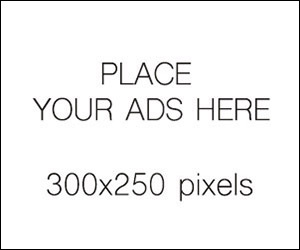 This is definitely worth to try. 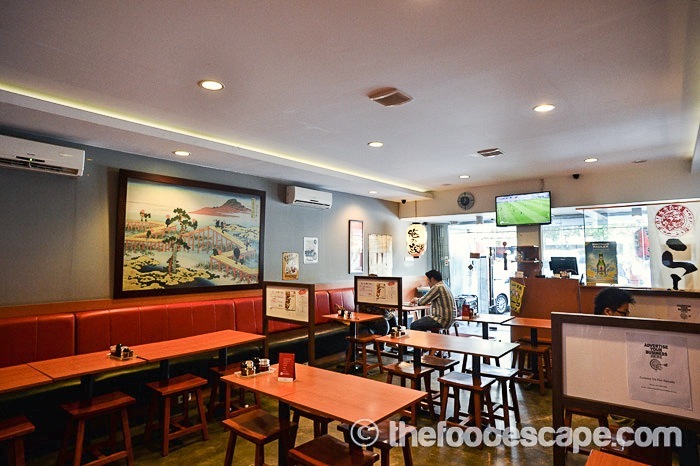 Our first visit to Orenchi Ramen was a great experience because we had never thought that in Mangga Besar neighborhood, we can actually find an authentic Tokyo-style ramen shop like this. 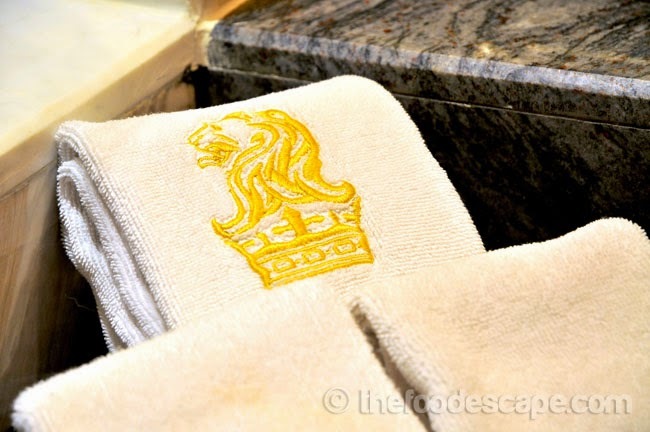 ** This review is written based on our visit on 23 May 2015.